I hope your holidays were full of fun, family, friends and great memories. It's 2018 and that means it's time for YOU to make your health a priority. Last year I did a little segment with KSL featuring my online BodyJoy Slim Down Program. Sarah's featured journey is so inspiring. Back then she had dropped 85 lbs. and over this past year she's made even more progress. I'm excited for her to hit her overall goal size, and at the rate she's going I think she'll do it before the 7-week New Years challenge is over. The only difference between you and Sarah is that she applies my simple strategies and adapts them to fit her life on a daily basis. YOU too can see results by deciding that NOW is YOUR time and begin, just like Sarah did! There's only 3 more days to register for my 2018 New Year BodyJoy Slim Down Challenge since we start Monday, January 8. You can participate from any location since it's Facebook-based! Use the next 7 weeks following my simple, doable strategies to make your 2018 the healthiest year yet! All ages, genders and fitness levels participate. The program has two options this year. 1. Participating in the challenge program. 2. Participating in challenge AND including my exclusive Silver Fern Brand probiotic bundle (over $160 savings vs. buying the products elsewhere). Participants who used these last year dropped an additional 2" above the those who didn't use the probiotic. My winners lost around 20 lbs. AND 20 inches, and as a group (100 people), the overall average drop was 7 inches and 7 pounds! If you're interested in more details or would like to see the Silver Fern Brand bundle they're found at www.mindybuxton.com under the "learn more" button. You can register at www.mindybuxton.com as well! The deadline is this Friday, January 5 so you can get all the program information before our start date. Space is limited, so I'm happy to add you to the spring challenge once this one fills. The Facebook LIVE Kick Off Meeting will be Saturday, January 6 in the private group feed. I look forward to helping you achieve results and experiencing BodyJoy in 2018. Give me 7 weeks, and I'll give you RESULTS! Here's to a year of progress, success and joy! Thank you to all who attended my BodyJoy Wellness Retreat at La Costa Resort a few weeks ago. It was a fabulous weekend of celebrating the 3 main BodyJoy principles: Mind, Movement & Meals. These principles are the foundation of my book and have turned into the successfully proven strategies I use in my Online BodyJoy Slim Down Challenges. Now that we’re heading into the heart of the holidays be sure to create a solid game plan and way to hold yourself accountable so you avoid the typical 7lb. gain between Halloween and New Years. Do you have a Halloween game plan? Will you limit your celebration to just 1 day? What's your plan for keeping your environment full of foods that give you results? Where will you store all that Halloween candy come Nov. 1 so it doesn't find it's way into your mouth every time you look at it? If you do great at making your game plan, but then after one week give up on it because you haven’t stuck to it the way you hoped---you're a perfect candidate for my Holiday BodyJoy Slim Down Challenge. Take the stress off yourself and let me coach you to a successful, healthy body while you celebrate this holiday season! Starting Monday, Nov. 6 my group will spend 6 weeks checking in daily to the private Facebook feed which has a meal strategy that keeps you full and off sugar because you’ll be eating foods that not only kill those cravings but satisfy you mentality. Why will you be so satisfied? Because it’s not DIETY, no-calorie foods! You get real food, real flavor, really simple! I have recipes, a Thanksgiving menu, workouts and best of all, you get to customize the strategies to YOU and what YOU love and what YOU know gives YOU results! The daily check-in is THE greatest factor to keeping you on track. My community of participants shares tips, tricks, meal pictures, food suggestions and support for when you need it most. Participants are from all over the states, not just from Utah where I live! It’s not your ability that determines success; it’s your accountability that determines success! This is why most of my online participants are going on several years of either maintaining their lost inches and fat or continually dropping inches and fat. They are accountable to me and this awesome support group on a DAILY basis. It's simple but so important to achieving results! All of us need assistance on our fitness path. Even trainers use trainers to keep us accountable and on track to improving. There’s no shame in needing accountability or someone to help keep you moving in the right direction. We’re in this together and I’d love to personally work with you! Join me to end 2017 on a success! You’ll be so empowered knowing that if you can drop inches and fat during the holidays, you can do it any time of year! Registration closes November 2. The group goes live that weekend and we begin tracking Monday, Nov. 6. If you have any questions about the Challenge, you can watch an informative video and register at www.mindybuxton.com. Here's to a fit and fabulous holiday season! Happy October! I hope your transition into fall has been fabulous. This is actually my favorite time of year. I feel more of a sense of renewal, recommitment and desire to improve vs. any other time--even more than at the New Year. I’ve been asked about staying healthy and true to my lifestyle while traveling so I thought I’d share a few items I take with me regardless if I’m out of town overnight or for an extended period of time. These 3 items save me from losing ground on the health and fitness results I work so hard towards. Keeping it real, we have to have treats as part of our healthy lifestyle right?!?!? These keep us IN our healthy lifestyle. We don’t feel deprived when we have options that are satisfying AND help us see keep our results. I take these single serving Cenavi 70% Dark Chocolate Flats with me in my gym bag or purse. Rather than munching on sugary cookies, pretzels or whatever else is offered on a plane or at the gas stations, I enjoy a chocolate square. I love how these are low sugar but taste like the real deal! They’re rich and indulgent so one is really all I need (most of the time!). I use these at restaurants too. Don’t you hate it when the dessert looks so much better than it actually tastes? Sadly, most of the time this is the case so rather than eating what’s served, I pull out my chocolate treat and enjoy every single bite of it while other’s are eating that “less than amazing” dessert just because it's on the table. It’s no secret our bodies get out of their routine when we travel. At those moments, we all could use a little help to feel and function our best while on the road. I’ve done my research and these are the one thing my family and I take on a daily basis—ESPECIALLY while traveling! Having a baggie of protein powder comes in handy when you need an actual meal but you don’t love the choices being offered . Whether you’re on a plane, in a business meeting or you just don’t have access to food YOU’D like, this is easy and low maintenance when you’re in a bind. All you need is a cup or water bottle! Besides the fact this is the best tasting, highest nutrient powder I’ve found, it mixes great in just a bottle of water. I've even used the chocolate flavored protein in hot water and it tastes like a hot chocolate! Who else totally freezes on airplanes?!?!? There you have it: my Travel Trifecta! These are my non-negotiables that go with me on every trip. I keep them in my carry on and in my purse at all times. Have you had any experience with these items yet? What do YOU do to stay close to your healthy lifestyle while you travel? As I'm getting ready to pack for my upcoming BodyJoy Retreat I’ll be sharing a few more "grab & go" ideas soon! Until then, I hope these items help you on your next travel adventure, work trip or weekend get away! Would you like to actually drop inches, size and weight this holiday season? Sign up for the last BodyJoy Slim Down Challenge of 2017! The Holiday Challenge runs Nov. 6-Dec. 17. Learn how to celebrate and enjoy the holiday season while taking care of your health and improving your fitness. Participants drop and average of 5 lbs. & 7" because of the private online Facebook Group, double workouts, delicious food ideas & effectively simple strategies. Register by going to my website www.mindybuxton.com. This weekend I join an amazing team of people riding to raise money for Cancer Treatment. You can support us by donating here before Friday! This month I did a complete overhaul on my BodyJoy Slim Down Challenge. I've learned so much the past few months being part of a private study based on scientific research with clinical nutritionists, registered dietitians, scientists, and functional & traditional medical professionals. Now that I know better, I had to incorporate it to help others KNOW and DO better too! “I'm actually really proud of myself for week one and super motivated by the results. I found ways to eat things I do enjoy by putting it in my log and making decisions around that. Planning ahead of time has really been key….I thought that I would have a harder time staying within 3-4 meals a day, but I end up being so full. In fact, it made me not crave treats because I was so full. I also found on busier times how to pack the right food that I need. Tonight we have a BBQ so I'm taking my own sides and logged the chicken before hand. This week my goal was to make dinner meals that my family and I can eat together but maybe I have less sides etc. It's hard with a house of all boys...most trying to put on weight. Thanks so much Mindy. This really has been an eyeopening experience.” Marni R.
Because Marni is eating real food and adequate amounts of calories I know she didn't starve herself the past 7 days. Inflammation from food is a REAL problem that most people don't realize. Removing those possible foods decreases bloating and water retention, an can even decrease pain as well as help burn body fat. Results aren't just about calories, they're about nutrients and other important factors too! If you don't think 7 days can make a difference, try making just one change and do it consistently for 1 week! I promise you'll have a positive result that can fuel your motivation to continue the process. 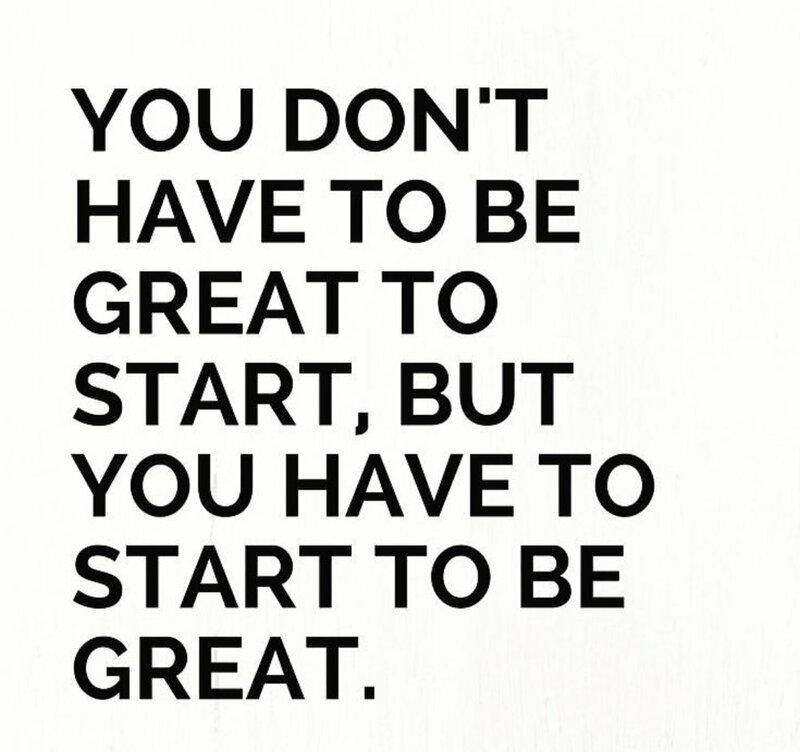 The hardest part is actually starting! So today, commit to your one change. Use your BodyGym daily, replace your soda with 64 oz. of water (infused with sea salt and fresh squeezed lemon or lime), watch your portion sizes are just a few ideas! Tell me what you'll do different and next week by commenting below then check in to share your progress! I'll keep you updated on my June participants because they're going to be right there with you making the next 7 days successful too! It's no secret how much sugar affects our health and body goals. The hardest part of staying consistent with a healthy lifestyle is giving up "treats". What if you didn't have to give up treats? What if you swapped out just a few ingredients so your treats support your goals rather than sabotage AND they still taste great? By swapping out sugar for ingredients with flavor and nutrients, you'll have an easier time making and keeping results that you've worked so hard for. This Silver Fern Brand Kakato Sweetener is the only sugar replacement that my body loves. I hate the way sugar alcohol's, agave, and many of the other replacements taste, affect my recipes or make me feel. Research now shows most of those are unhealthy! Even though they don't contain sugar, their highly processed ingredients affect gut inflammation due to aggravating chemicals. Kakato Sweetener is a mix of pre and probiotics, stevia and monk fruit extract. I love it because it doesn't change the way my recipe is meant to taste and it doesn't affect my stomach the way those other replacements always have! Microwave in a glass bowl 1 scoop of protein powder, 4 Tbsp. coconut oil, 1/2 tsp. Kakato sweetener until just melted. Stir and spoon out a little melted chocolate into the muffin tins--this amount fills all 24 tins. Remove from tins from freezer and using your Tsp., scoop out and add 1 tsp. of nut butter into each tin. Microwave the remaining 1 scoop of protein powder, 4 Tbsp. coconut oil, 1/2 tsp. Kakato sweetener until just melted. Stir and top off a little melted chocolate onto the nut butter. If you need just a little treat that can help you stay on your healthy lifestyle plan give these a try! Silver Fern offer's my clients a discount by using the code Mindy10 or BODYJOY10. I've linked the ingredients so you can easily find them on the bottom of my home page www.mindybuxton.com. Thank you Silver Fern for giving us the best pricing compared to amazon or their direct website! They're a Utah based company who uses quality ingredients and cares about helping other's improve their health. That's why I use Silver Fern Brand items to create healthier swaps for my family! Try Green Spanish Eggs... Simple, Creative & Healthy! One of my BodyJoy Slim Down Challenge participants, Alba went to Spain last year. She's been making the most incredible Spanish Eggs and sharing them with me ever since. Today I decided to use the chopped veggies from my St. Patrick's Day "All Things Green Salad" (recipe posted just a few days ago on my blog www.mindybuxton.com) and toss them in a skillet with two 🍳 eggs and six egg whites. 💚 Finish in over at 350 for 10-15 minutes! If you want to see what my BodyJoy Slim Down Challenge is all about, go to www.mindybuxton.com. Details for the challenge and the awesome probiotics & protein powder are found here. I love how the Silver Fern Brand probiotics are helping people get even better results by reducing sugar cravings and rebalancing gut issues. Use the discount code Mindy10 for the best pricing on any Silver Fern Brand items and ELEVATE your results by clicking the picture on my website. I'm adding participants for the May challenge waiting list. You can register directly on my website by clicking the "sign up" button. BodyJoy Slim Down + Silver Fern Brand's Protein & Probiotics = A Fit, Healthy Body for the New Year! Take the 7-week BodyJoy Slim Down ELEVATED Challenge, beginning January 9, and watch your body transform. 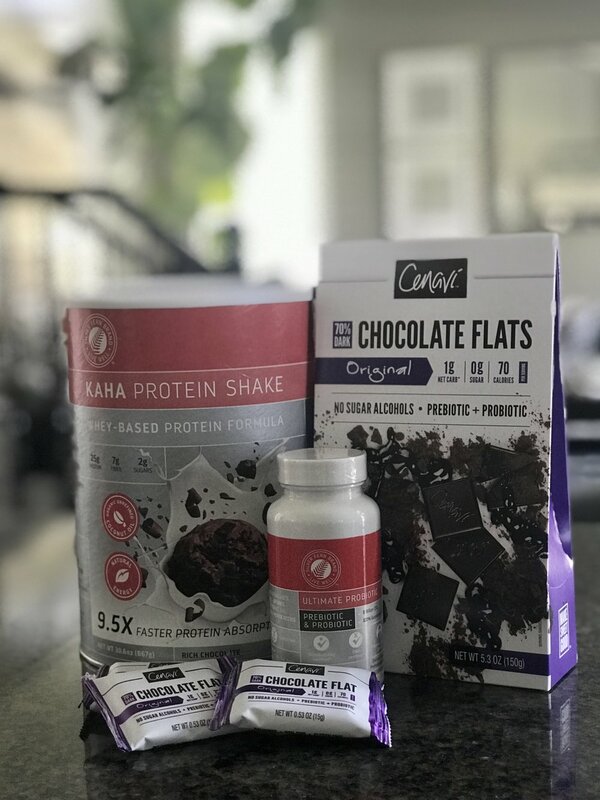 $129 for the 7-week program + 1 protein powder and probiotic from Silver Fern Brand (a $70 savings over buying the products elsewhere). You can participate in the private online group for $79 without the supplements. Register by EMAILING ME at www.mindybuxton.com by Wednesday, January 4. Space limited to 70 participants. Weigh In Kick Off Meeting Date: Saturday January 6 at 9:30am at LifeCentre Athletic Club (for Utah participants). For those of you outside of Utah, you can get on FaceBook and see the meeting! I look forward to helping you ELEVATE your results to find BodyJoy in 2017. Give me 7 weeks, and I'll give you RESULTS!